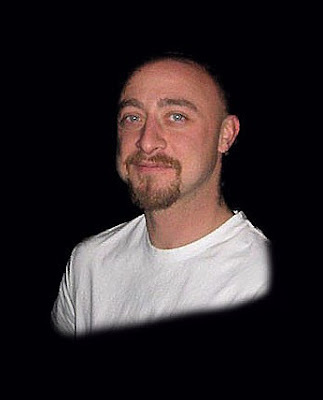 Curtis Glen Dodd of Lethbridge, beloved spouse of Terra Froehlich, passed away suddenly, in a construction accident, on Nov. 14, 2012, at the age of 31. Curtis is the son of Heather and Norman Dodd of Pincher Creek, Alta. and brother to Jamie Dodd, also of Pincher Creek. He couldn’t wait to get started in life, and was born in the car on the way to the hospital. Curt spent his childhood on the family ranch north of Lundbreck, Alta., and attended Livingstone School. Curt, a journeyman welder, later worked for various welding and construction firms in Lethbridge and also enrolled in the journeyman iron worker program at NAIT in Edmonton, where he attained the highest marks in the province, with scholarship, for both his first and second years. For the past several years he worked as a supervisor, skilled welder and iron worker for Zero Gravity Cranes and Rigging Ltd.
Curtis loved to draw and extended his artistic ability into metal artwork. He was fearless about heights, and did much of the sound and light system rigging for concert tours in Lethbridge, as well as others in Calgary, Edmonton, Red Deer and Medicine Hat when his skills were requested. He loved climbing, rappelling and skiing, and recently achieved his underwater diving certification. Curtis also loved animals, especially dogs. He and Terra doted on their American bulldog Bishop, their boxer Jaxson and their miniature pinscher, Sierra. Besides his spouse, Terra, Curt is survived by his parents, Norman and Heather Dodd, his sister Jamie and her three sons, his grandparents, Dave and Joan Glen of Pincher Creek, and by several aunts, uncles and cousins, and their families. Funeral services were held at 11 a.m. on Tuesday, Nov. 20, 2012 at the Pincher Creek United Church, 972 Police Ave., Pincher Creek, with Rev. Brent Woodard officiating. A celebration of Curt’s life was also held Wednesday, Nov. 21, at Studio 54 nightclub, 202 - 5th St. South, Lethbridge. Flowers are gratefully declined. For those who wish, memorial donations can be made to the Lethbridge Humane Society, 2920- 16th Ave. North, Lethbridge, T1H 5E9.